What is the relationship between worship and culture? 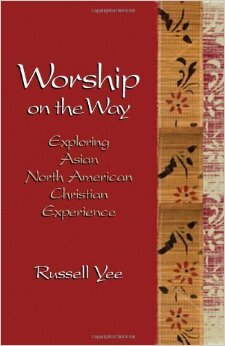 Russell Yee argues for worship that is contextualized to the cultural dispositions, traditions, and values of Asian North American (ANA) worshipers. Yee critiques a widely held assumption that Western articulations of Christianity, and worship in particular, are the definitive manifestations of the faith. Yee seeks to provide a corrective by presenting historical and theological rationale for the cultivation of ANA-specific practices of Christian worship. The bulk of Yee’s argument is found in the first section of the book, “Explorations of Worship on the Way.” In the second section, “Expressions of Worship on the Way,” Yee showcases the liturgical fruits of ANA creativity and faith. Ch 1: Yee laments how the conflation of Western culture with Christian worship misrepresents the faith especially to those who are wary of, and resistant to, colonializing forces of the past and present. As long as the object of worship remains God revealed in Christ Scripture is mum regarding the cultural forms that accomplish the functions of worship (9). ANA cultural forms can serve just as well as Western forms to meet the functional tasks of worship. Ch 2: Yee uses the two commandments of Jesus—loving God and loving neighbor—as the basis considerations in worship. Worshipers in the act of worship express their love of God (self-offering) and love of neighbor (self-sacrifice). ANA worshipers cannot fully love God, and thus partake in the self-offering to God in worship, without a holistic embrace of who they are, which includes ethnic heritage. Only after that first step can ANA worshipers encourage and support their neighbors (self-sacrifice) to love God with the entirety of their beings. Ch 3: Yee demarcates the scope of ANAs: “English-speaking Christians in Canada and the U.S. with cultural roots in East or Southeast Asia” (39). In addition to providing census information from Canada and the U.S., Yee articulates the experience of living as a bicultural minority, and includes excerpts of an interview with Greer Anne Wenh-In Ng to give voice to Asian Canadians. Ch 4: Using the “Nairobi Statement on Worship and Culture,” Yee reflects on worship through the following four categories: “transcultural (universal), contextual (culture-embracing), counter-cultural (culture-rejecting), and cross-cultural (culture-mixing)” (66-7). Ch 5: Yee explores the challenges that have inhibited ANA churches from collectively discovering and voicing their vision for worship. Yee attributes the stunted development to the diversity in ANA immigration experiences and trends, as well as to the mixing of missions efforts with colonialization. Ch 6: This chapter is a biographical narrative of the author’s personal journey of exploring the various issues around worship and culture. The chronological recounting of numerous worship conferences plots the recent development of ANA thought and theological reflection on worship and culture, including, for example, inter-generational tensions as well as anxieties regarding the inclusion of hip-hop in worship, etc. Ch 7: Yee uses the Lord’s Table as a case study for contextualization in worship. Yee provides a scriptural recap of the Cup and Bread, and also a brief history of its practice in the Church. He gives examples of how the Cup and Bread have been contextualized to better reflect the experiences of ANA worshipers, such as the use of green tea instead of grape juice in a Japanese American setting. Ch 8: Conflict and disagreements are inevitable as congregations discern ways to have ANA cultural sensibilities reflected in their worship. Yee lays out an ethics of engagement, drawn from Scripture: refraining from judging others for things that are not clearly forbidden, and not forcing others to act against their consciences (162-3). Yee recommends the careful practice of pastoral care and congregational education for churches facing change. Ch 9: Yee introduces the worship practices among ANA immigrant groups most recently settled in the U.S., and who have mostly come from Burma (Myanmar) and Thailand. The second section of the book, a sample collection of original songs, spoken word pieces, templates, brief descriptions of Asian poetry forms, worship station layouts, and list of ideas for visual images, are supplemented with an online link for more resources. The author initially began this project to produce a sourcebook of ANA worship materials. However, he states that the lack of worship reflecting the biculturality of ANAs, especially in his particular evangelical milieu, prompted him to present the case for contextualized worship. The wider church is richer now for his contribution. The collapse of other religious traditions (in one instance named “rival faiths”) into simple negative counterexamples may have been avoided with the nuanced contextualization and discernment the author requests for ANA culture. Yet occasional moments of essentialism notwithstanding, Yee through this work serves as a lead belayer, anchoring and laying ground for continued reflections on, and development of, ANA-specific worship practices. Clergy, lay, worship leaders, church leaders, any interested in ANA culture and/or wondering whether culture matters in worship, will benefit from this work.